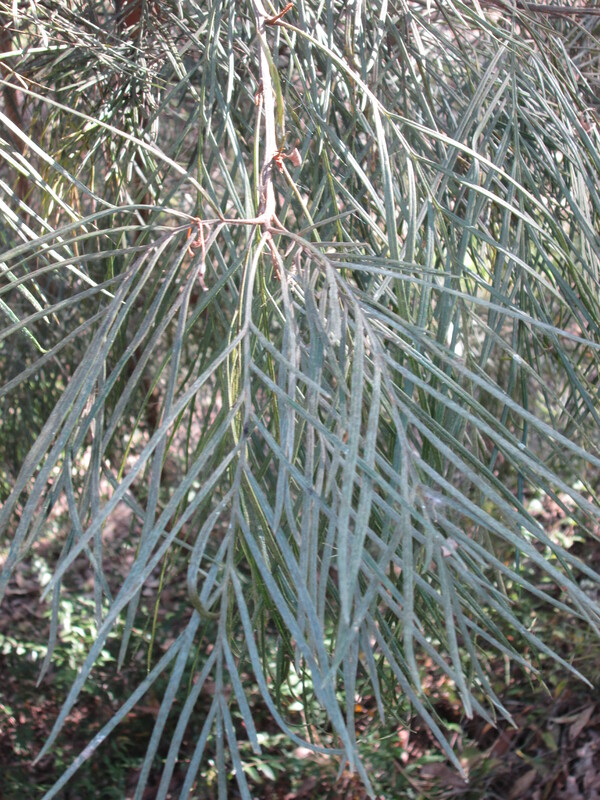 Australian Bush Gardens are characterised by the use of plants native to the Australian continent. Because these plants often have to survive during many dry times, the plants have leaves that are fine leaves often with leaves that have outer tough surfaces to minimise water loss. They often have hard woody seed pods eg. 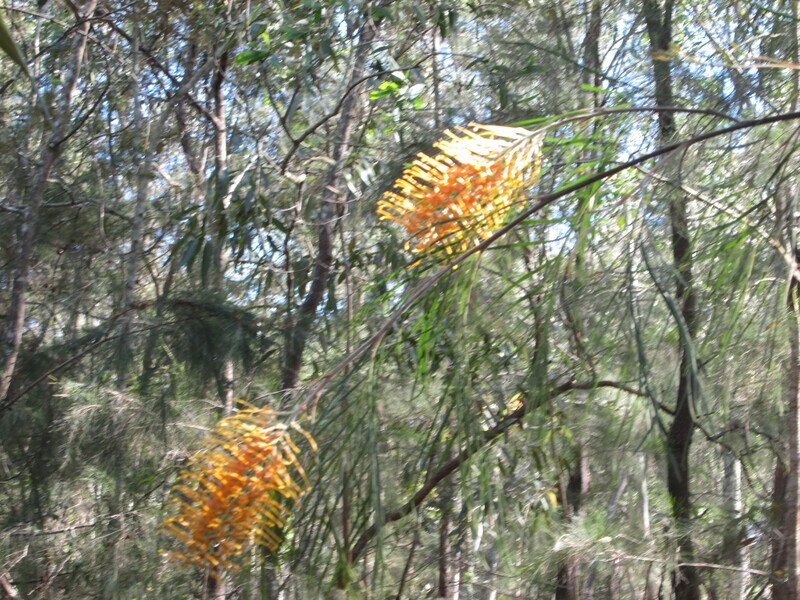 banksias or the hard woody capsules eg. 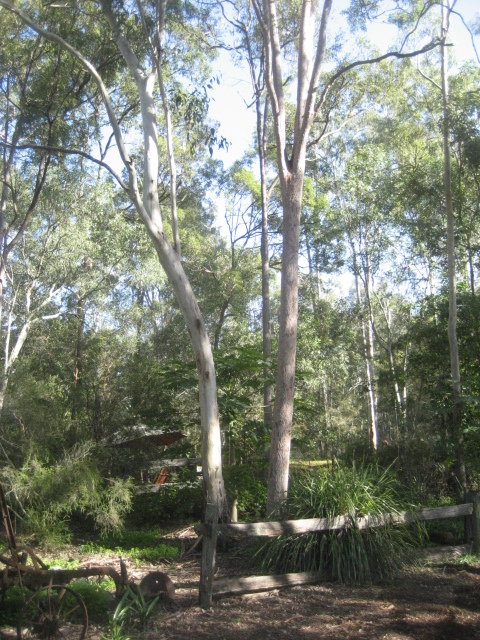 all the many species of gum trees. The seeds inside these woody seed pods are released by hot bush fires. The seeds are released by the heat so that the seeds fall out in a few days time and fall on fresh burnt ground. 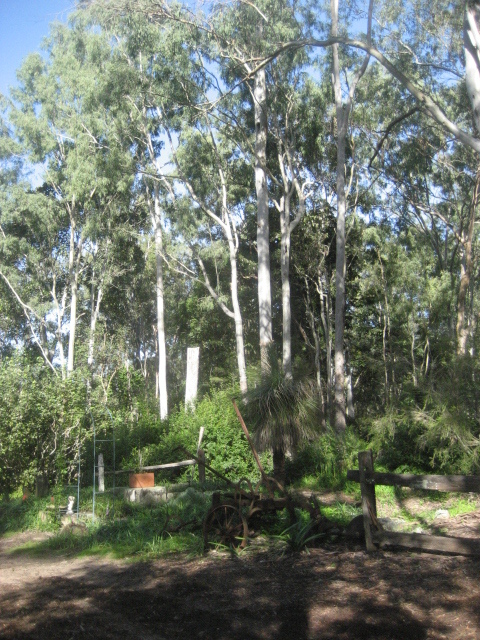 The bush quickly regenerates after bush fires. 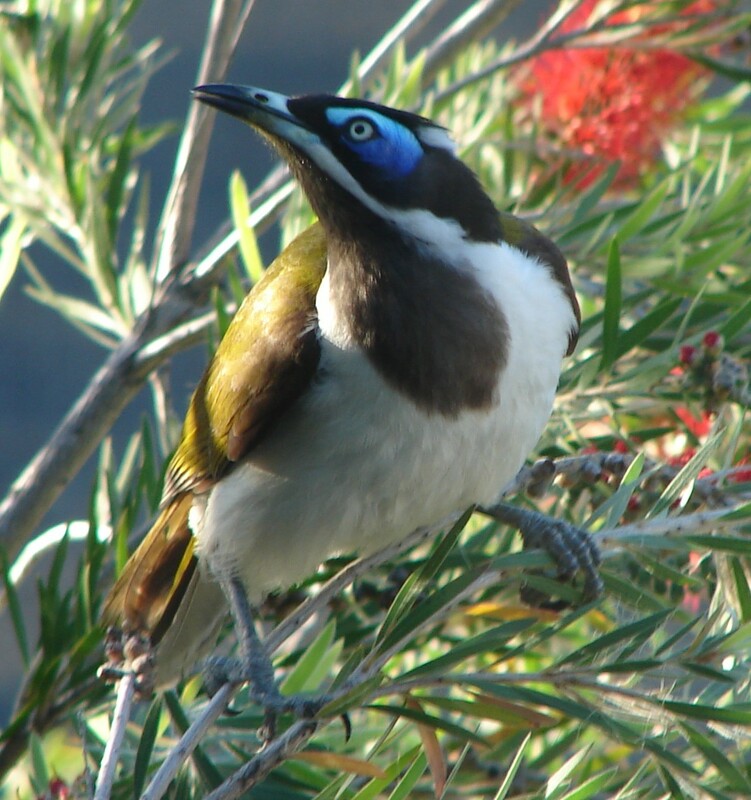 These plants often have unusual flowers in bright colours to attract birds eg. 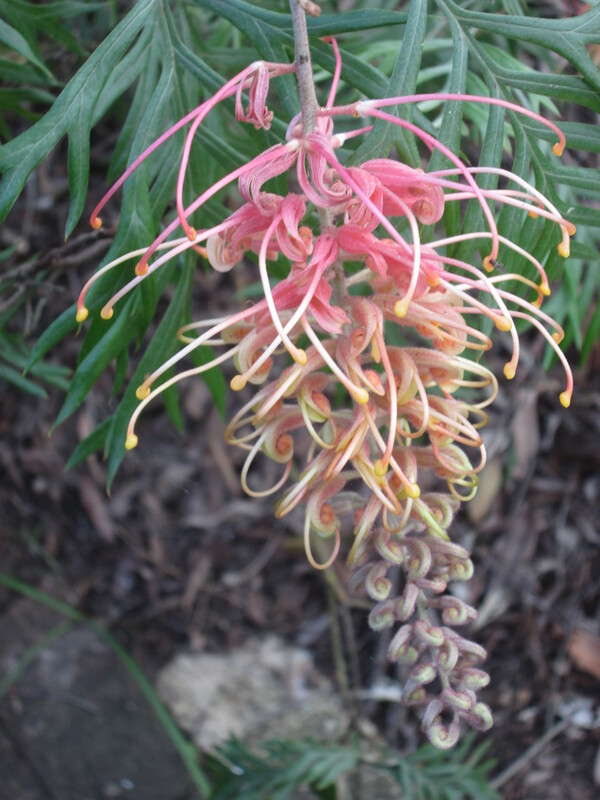 grevilleas. See the photos below. The birds dip into the flowers for the nectar there and at the same time pollinate the flowers. Seeds develop as a result. 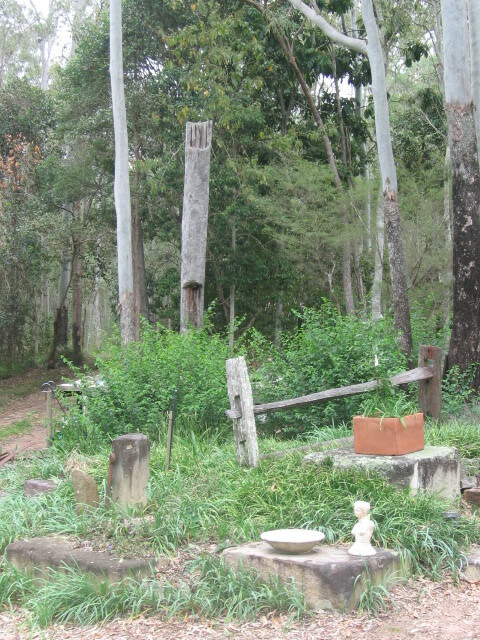 The use of native plants and the ‘Bush Garden’ style truly flourished in Australia in the 1950s and 60s. While Robin Boyd was writing about the compatibility of native plants and modern houses, landscape designers Edna Walling, Gordon Ford and Ellis Stones led the way with gardens of predominantly Australian plants and rustic bush elements. In his book The Natural Australian Garden, Gordon Ford speaks of a ‘new nationalism’, the breaking of cultural dependence on Britain and Europe and a search for sense of place. 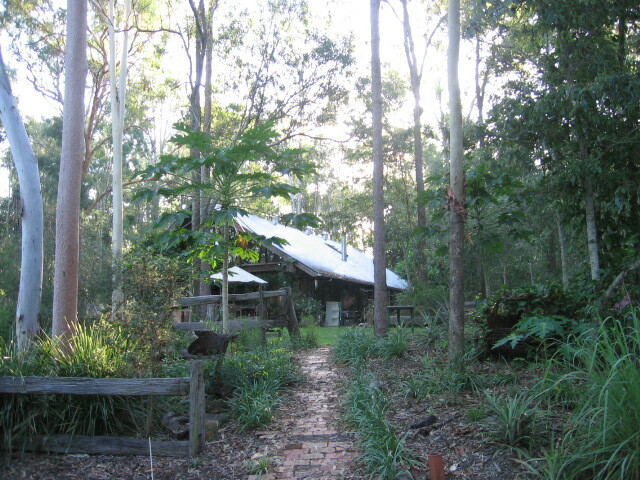 Australian gardeners, homeowners and designers were becoming increasingly interested in the traditional bush environment and the use of indigenous plants. 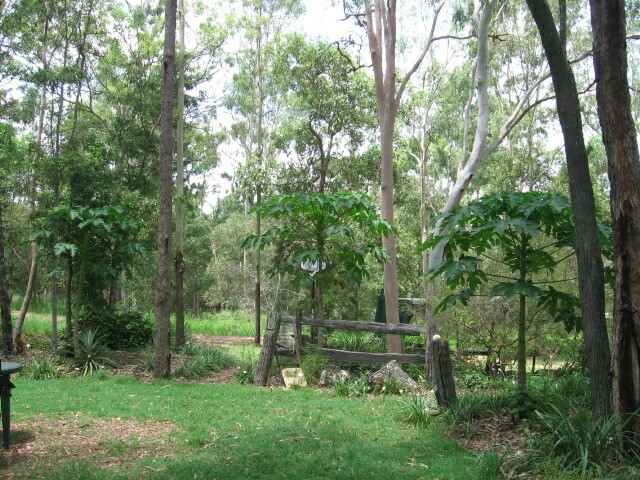 Dry gardens with mulch floors replaced English style lawns as an awareness of water conservation and adapting gardens to the Australian climate was increasing (Ford 1999, p38). 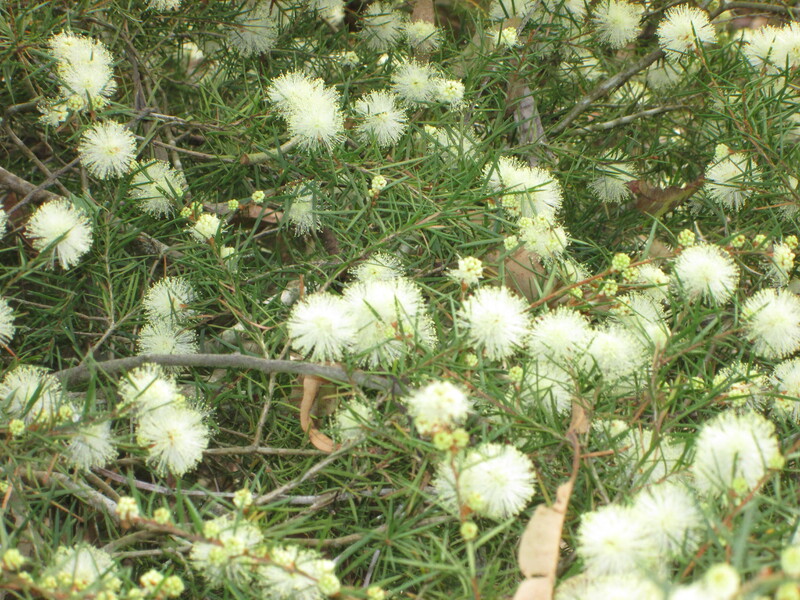 Nation-wide promotion of the use of Australian plants was achieved with the creation of the Society for Growing Australian Plants in 1957 and the publication of their journal Australian Plants (which continues today). 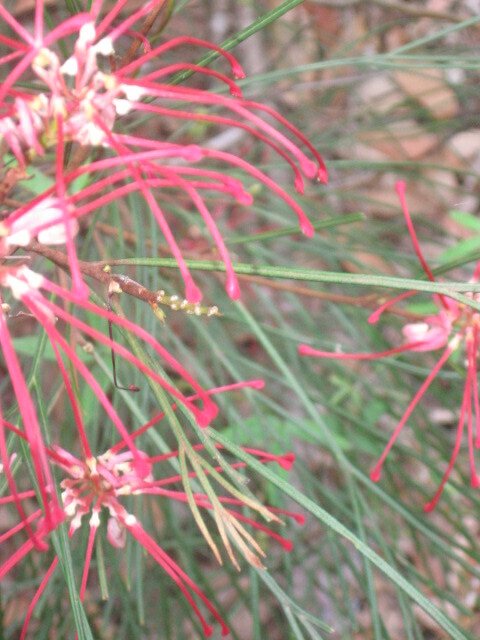 The journal contained high-quality coloured illustrations which ensured that readers could fully understand the benefits of Australian native plants in the garden (Aitken 2010, p202). …. 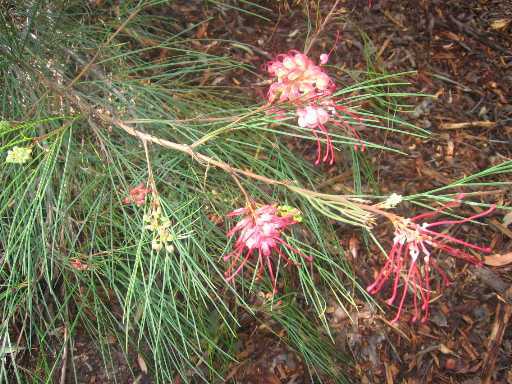 Red Grevillea flower …..
….. Grey dry leaves of the grevillea plant hangs down and can withstand a lot of dryness …. …. 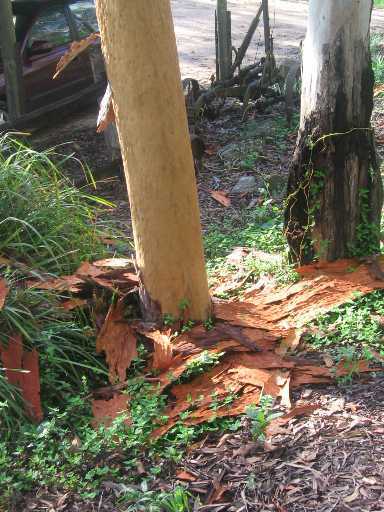 Brown bark falls off a eucalypt tree to leave beautiful bark patterns on the ground ……..
…… A red Grevillea flower …..
foundations of the old Cobb and Co. Depot in the Stage Coach days of Brisbane from 1866.
where little back in the mid 1980’s, we would have birthday parties for them and their friends. This stone would be covered with a nice white cloth and used as a birthday table …..
fortune now and it is now illegal to dig out out of the ground to sell them. 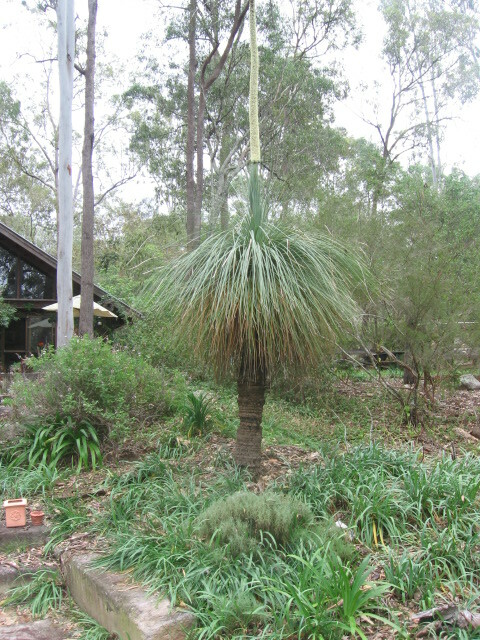 See the website: The Grass Tree: Its Uses and Abuses …..
…. A piece of old post and rail fence. To obtain this is a very rare thing. they wanted to clear the land of trees and create open space for their cattle. go in the ground. A narrow axe was used to cut slots for the rails to go in. 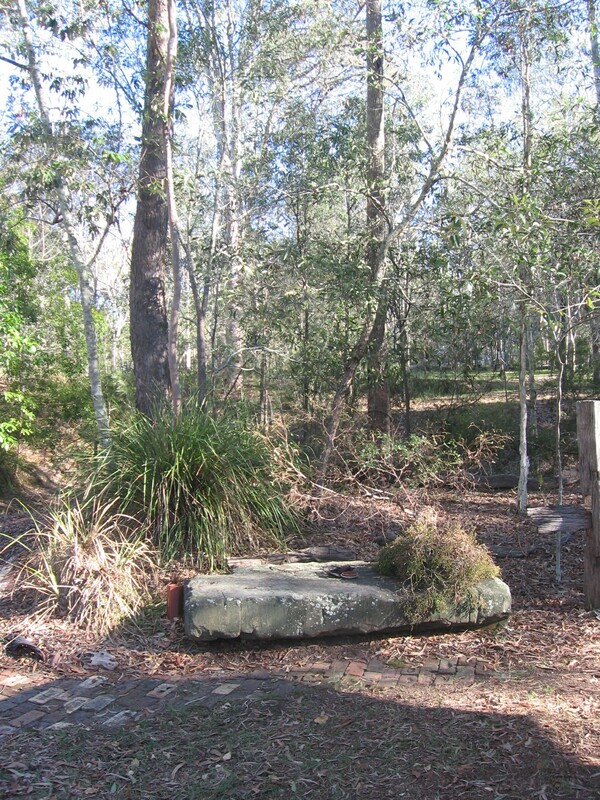 See this website: Images for old post and post and rail fence Australia. 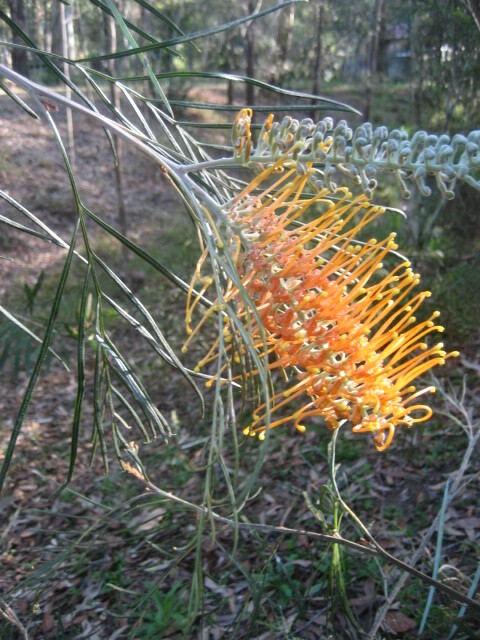 …… A Yellow Grevillea flower …..
…. 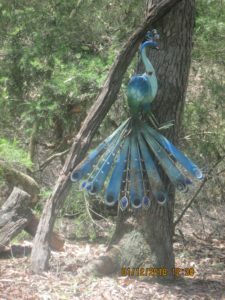 This is a whimsical metal peacock …. In November 2018 there was a council (Logan City) cleanup in our area and people were dumping many items on the side of the road for the date for the cleanup. My son Anthony was driving by one area in his utility and someone had dumped these metal birds … an orange flamingo (see the post) and a blue peacock here. Harriet positioned the two metal birds to be seen as you come up the entry path to the house or up on the arbour areas near the house.